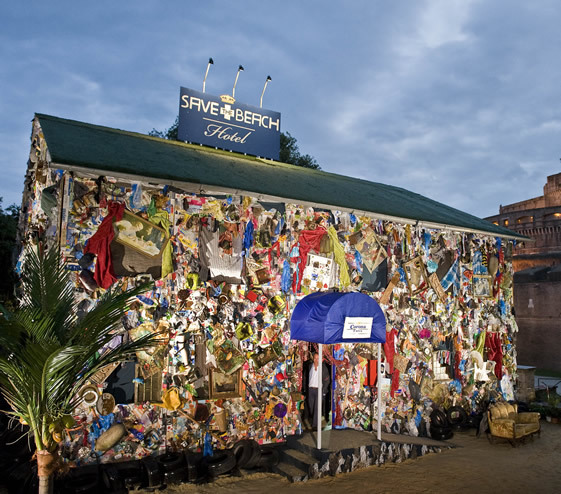 A German sculptor is giving new meaning to a trashy hotel. His new creation in Madrid is a hotel built out of 12 tons of trash. The trash comes from various European beaches and it’s purpose is to draw attention to the excess of trash on these beaches. The small hotel has five double rooms and it booked for the four short days it will be open. Christensen, French explorer Alexandra Cousteau and jewelry designer Jade Jagger. The hotel was built in celebration of a tourism fair this week. Tourism is Spain’s largest industry.